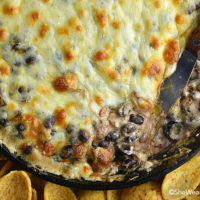 Layers of cream cheese, green chiles, black beans, olives, tomatoes and gooey cheese make this Hot Chili Cheese Dip recipe a party time favorite. The holidays are just around the corner and that means party galore! Bring it on. We are ready! 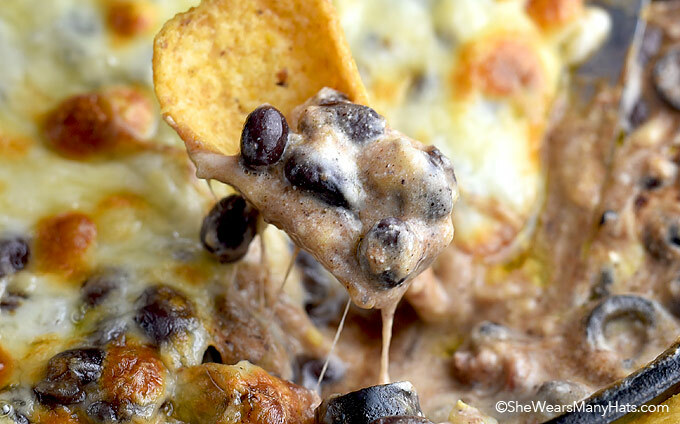 Armed with a bag of chips and this Hot Chili Cheese Dip you will be ready too. Hot Chili Cheese Dip is super easy to make. Made with layers of cream cheese, green chiles, seasoned BUSH’S® Black Bean Chili Beans, olives, tomatoes and topped with lots of melty cheese will disappear as quickly as you made it. This cheesy dip is easy to prepare ahead of time. 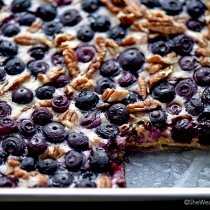 Assemble dip, then cover and refrigerate until ready to bake. Serve warm on a platter with chips, crackers, celery and carrots. Other than the fabulous flavor, something else I really appreciate about this party appetizer recipe is that all of the ingredients can be kept stocked on hand for impromptu entertaining. If your holiday season is anything like ours, it’s nice to know that all ingredients are on hand to prepare a delicious go-to appetizer for those days when I’m less than organized. In addition to diced tomatoes and canned chiles, I always have a variety of of BUSH’S® Beans on hand for hearty chilis, soups, salads and party appetizers, particularly their mildly seasoned BUSH’S® Chili Beans. They are not just for chili! They are perfect for this dip. 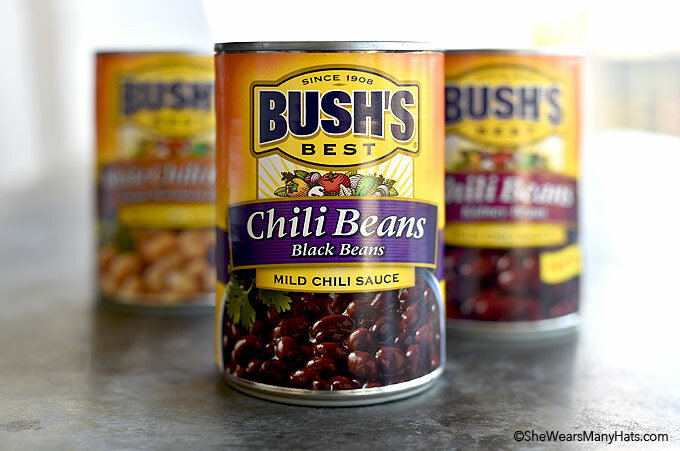 The BUSH’S® Black Bean Chili Beans in a mild chili sauce are exactly what this dip needs. Hearty black beans are a great textural compliment to the creamy cheeses. 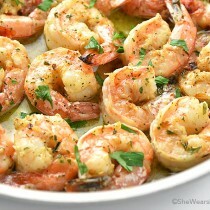 The mild seasonings add excellent flavor too! Although I used BUSH’S® Black Bean Chili Beans in this dip, any variety of the BUSH’S® Chili Beans may be substituted. I may try the BUSH’S® White Northern Chili Beans next time with a different cheese. Perhaps a white cheddar would be nice. 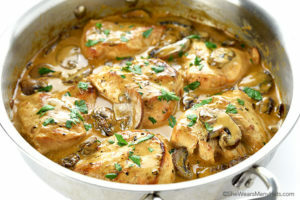 I’m already drooling just thinking about it! 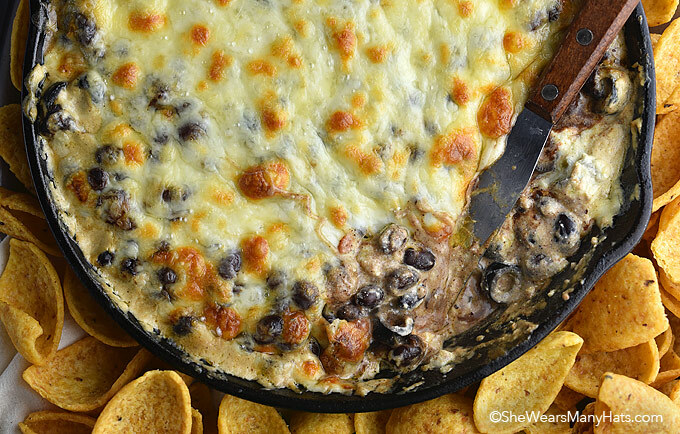 Whether it’s a big holiday shin dig, a game time celebration or a last minute gathering of friends this Hot Chili Cheese Dip is sure to be a crowd pleaser. Dip in and party on! 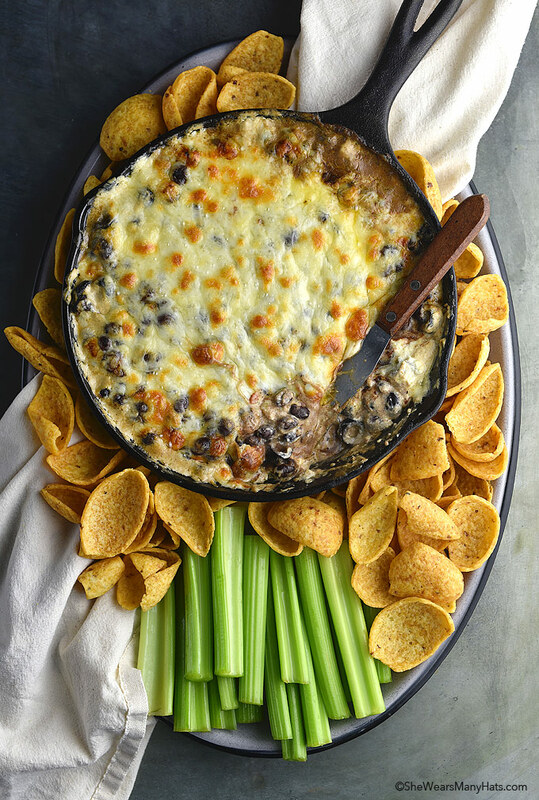 Layers of cream cheese, green chiles, black beans, olives, tomatoes and gooey cheese make this Hot Chili Cheese Dip recipe perfect for entertaining. Combine cream cheese and green chilis and spread mixture evenly in 8-9-inch pie plate or iron skillet. Layer beans, diced tomatoes, black olives, then top with shredded cheese. 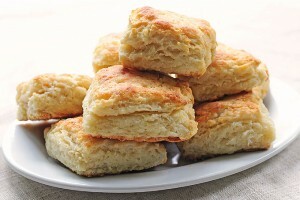 Bake at 350-degrees F for 25-30 minutes, until cheese is melted and bubbling. Carefully remove from oven and serve warm with tortilla chips, crackers or crudités. *For a spicier version use diced jalapeños. This post is sponsored by Bush’s Beans. I have an ongoing relationship with Bush’s Beans. As always all opinion are my own. 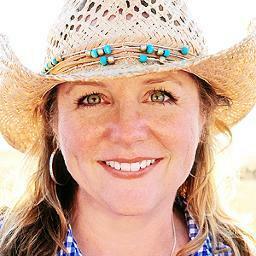 Hey there nice young lady who alway, and I mean always makes me hungry. Being a nice really old Canadian( only a bit grumpy) I always seem to have a hard time getting hold of the bush beans. I will try harder cause what I have had are truely delightful! I must say that your recipes are always welcome and while I don’t get to make them all I have a true apprication of your talents. Can I use jalapeño cream cheese from Pilidelphia? I must admit that I did pick up a taste for things to be a bit spicer during a 9 year stay in Texas. Looking forward to your next communication. Jalapeno cream cheese would be nice in this dip. When you say “1 container (8 oz) cream cheese”, do you mean the block or the plastic tub of cream cheese? That is a bit confusing, Vikki. I just edited the recipe to read “8 ounces cream cheese.” Either block or in a tub is fine. Drain the tomatoes. Do not drain the beans. That dip is a thing of beauty ~ sharing! Hi! 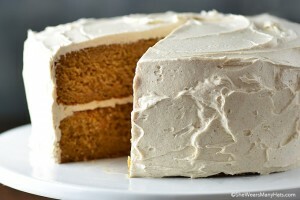 Did you double the recipe for the photos or is that how much it makes using the ingredients listed? 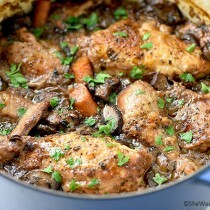 The photo shows one recipe, NOT doubled. It is shown in a 9-inch skillet. Oh my goodness. Saving this to try! !